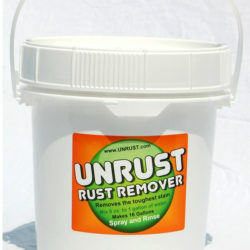 UNRUST Rust Prevention Chemical - Huge Savings on Shipping Costs! Why pay for water? Mix your own and SAVE! One 8 oz. 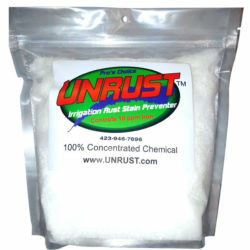 cup of UNRUST Stain Preventer will make one gallon of the “Other Brands” liquid. Here is an example of the savings you receive when you use our UNRUST Stain Prevention Chemical. UNRUST rust prevention chemical was developed to save you money. 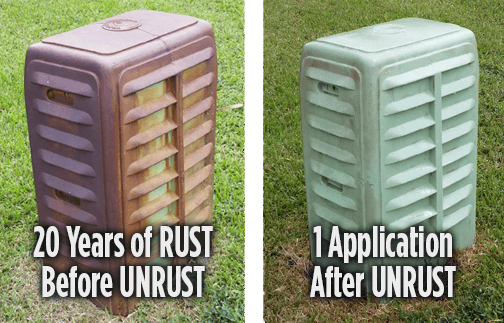 UNRUST will not be found in any of your irrigation supplies stores or the big box stores, like ridorust, rid o rust, rid o’ rust, or no rust, just to name a few. The reason for this is when you have a watered down rust prevention chemical, the irrigation supplies stores and the other big box stores make more money on the repeat business, because they are only selling you a small quantity of rust prevention chemical. 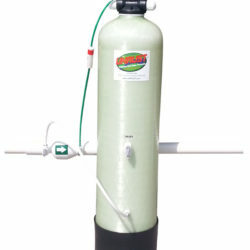 That is why UNRUST Rust prevention chemical not sold at the irrigation supplies stores. 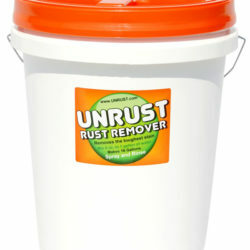 UNRUST Rust Prevention chemical is only sold to the end user, you our valued customer. If I don’t save you money and solve your rust problem we both lose. Unlike ridorust, rid o rust, rid o’ rust, or no rust, that use a wide spread network of distributors they each get their share of your money. That is why they need to water down the rust prevention chemical what you are getting. 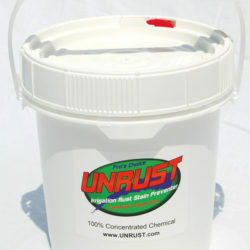 UNRUST Rust Prevention chemical is 100% chemical in the dry form. 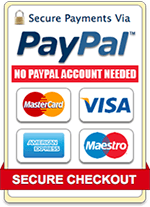 This provides you with the best value and a long shelf life, unlike the ridorust, rid o rust, rid o’ rust, and no rust products. With the ridorust, rid o rust, rid o’ rust, and no rust products being 95% water, the are very heavy and very hard to ship. So, this is one reason you can only get ridorust, rid o rust, rid o’ rust, and no rust products only through a irrigation supplies store or a big box store, shipping is very expensive when you are shipping water. 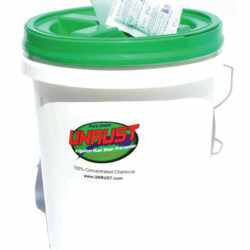 UNRUST Rust Prevention chemical is dry for three reasons: 100% chemical, you add the water and less expensive shipping. You save money! UNRUST Rust Prevention chemical is designed for our customer, to give you the best possible rust prevention chemical and save you money. 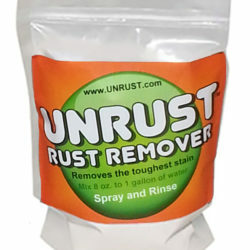 Please, tell your neighbors about UNRUST Rust Prevention products and why they are better than our competition!